Looking for the perfect Atlanta Rehearsal Dinner venue? Wedding Reception location? Unique site for your Company Holiday Party? Anniversary Brunch restaurant? Place to celebrate your child’s christening? 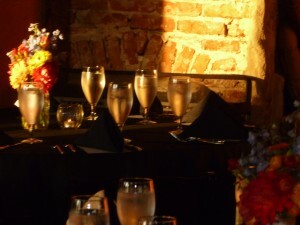 Great spot for your spouse’s birthday party? Unique garden terrace for a bridal shower? Look no more. We also have several options available for beverages from a hosted bar using one of our Beverages Menu, a hosted bar where you pay based upon consumption and can limit your offerings or budget as you wish, or through a cash bar. We can also tailor lots of beverage events within your party, including wine, bourbon, or scotch tastings, mixology classes, beer, wine, tequila or bourbon dinners or something we haven’t even thought of yet! If it’s fun, we can make it happen! Members of The Warren pay no rental fees for most parties, depending on size and membership level. Please review our Membership Information for more details. For non-Members, The Warren offers very reasonable rental rates, and on some days and times, we charge no rental fee at all with a minimum food and beverage expenditure. For more information regarding rental fees, minimum expenditure requirements, setup charges, decor options and other equipment rental needs, please review our Rooms, Fees & Services Menu. For further information, email us at Booking@TheWarrenCityClub.com or call us at 404-789-3999, ext 1.